If you’ve just arrived in Hong Kong, you need to visit our guide to Cantonese cuisine and eat some tasty Dim Sum, five-spiced pork or freshly caught seafood. Cantonese food is fantastic and cheap. If, however, it’s day seven and another pile of rice is likely to reduce you to tears then Hong Kong has some fantastic places for a slice of pie. 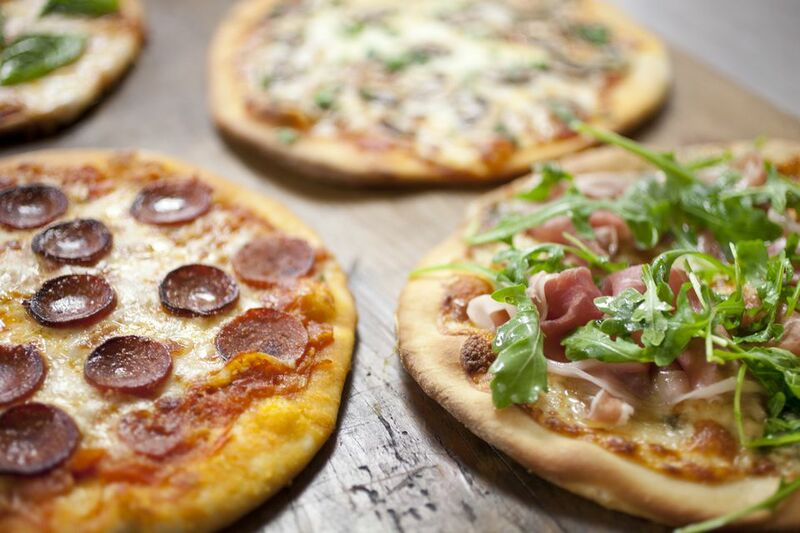 Here is our pick of the best pizza in Hong Kong. Welcome to the spiritual home of NYC style slices in Hong Kong. This pie shop started life in the Big Apple back in 1982, before making the leap to Hong Kong in 2009. Still a family run affair with owner Al Morales calling the shots in the kitchen, the pizzas are straight out of the New York playbook with generous crusts, thin centers and just the right amount of grease. The pizzas come by the slice or in 14 to 24-inch pies. Paisanos also do a fantastic line of sub sandwiches that would embarrass Subway and even offer strombolis—a rare treat this far from NYC. Pizza is generally best served with beer. Step in Stone Nullah Tavern. This swanky bar appeals to the after-work crowd with high-end cocktails, and imported craft brews served alongside classic American dishes. You'll find mac and cheese and spaghetti and meatballs give a fine dining twist, while the wood-fired pizzas are excellent, especially when washed down with a pint of Rogue IPA. Head here for Thanksgiving, Halloween, or just during the daily happy hour to see the bar in full swing. Pepperoni's is not the best pizza in Hong Kong. It's not even the best pizza in Sai Kung. But it is the nearest thing you’ll get to an American style, family-friendly chain. The prices are affordable, the service quick and there is always a table available. While the pizzas won’t beat Dominos and certainly won’t have Papa John worried, the restaurant is well set up for handling large groups of kids. Beyond the pizzas, you'll find a selection of below-par pasta and burgers which should be avoided. For a more upmarket experience, Hong Kong also has Pizza Express. A little slice of Naples in the heart of Hong Kong; this sleek Italian boasts a custom built brick pizza oven and parma ham and buffalo mozzarella jetted in from the mother country. The pizzas are small, but faultless with thin crispy bases slathered in passata. The trattoria flavor to the food is not translated to the setting, with crisp white tablecloths and broody brown wooden walls attracting the suited and booted crowd. You'll need to book ahead to get a seat on Friday or Saturday evening.